Ma-mil. Noun. The term “mamil” was coined in the 21st century and stands for “middle aged man in lycra”. It came about to refer to an increasing sub-set of the male species who spend large amounts of time in cycling or triathlon attire, training for amateur, endurance sporting events, with the aim of being awarded a circular object (usually bronze in colour) which can be hung about the neck. Mamils have the ability to procreate, should they find a suitable partner to mate with. Mamil-related pursuits may or may not be present during the mating process. Often, instinctive Mamil behaviour begins in earnest once offspring have arrived on the scene. Cycling is a favourite pursuit amongst Mamils. It enables them to be absent from the homestead for upwards of three to seven hours of a Saturday morning. From the time of waking, preparations begin. There is the pumping of tyres, the application of lubricants – both to the machine as well as to the person – the selection of tools, the mixing of special liquids to ensure hydration levels are maintained, and finally, a clothing choice must be made. Mamils are typically born with especially well-developed eye-sight which can detect brand names worn by packs of Mamils riding up ahead. This enables them to understand where in the pecking order, their fellow Mamils lie, in the real, hunter-gatherer, Monday-to-Friday, world. Once the Mamils have been out on their bicycles for a number of hours, they will head off in groups, in search of food. This forms an important aspect of their socialization. Whether the groups integrate socially or not, they tend to cluster at the same set of watering holes. This allows them to keep an eye on the competition and to obtain a close-up view of who’s wearing what gear. Once the Mamil has fed, he has little choice but to return to the homestead. By this time, he will understandably seek out some much-needed rest. It difficult for him to comprehend why his mate cannot empathise with this primal need. He has spent the week hunting, to provide for his family. The sixth day, is a day of riding and then of rest. On the seventh day, the Mamil would naturally be restless and edgy without a mandatory visit to the gym or a long run, depending on the season. Holidays with Mamils (let alone their offspring) are not usually relaxed affairs. Food is often readily available – no hunting required – and this means that a Mamil usually has a heightened sense of portliness. This is followed by a desperate, animalistic instinct to exercise. If holidays are your idea of spending time with your Mamil mate, then Plett in December is a disaster. Mamils migrate south in the summer and descend upon the N2’s Engen garage on their bicycles each morning, to ride to Nature’s Valley and back. If you envisaged mornings at rock pools with your young children followed by family beach walks in search of pansy shells… think again. The Mamil might make it to the beach when the sun is nearing its highest point in the sky and the children are famished and exhausted. Mauritius may seem a safe bet, with its coma-inducing humidity and hotel gyms equipped with three pieces of machinery. Not so. Resort pools cry out to the Mamil – who is quietly attempting to mind his own business on a nearby lounger – to “do laps! do laps!” And then there are invariably other Mamils around the pool who saunter over, sweat-drenched in their fluourescent Nike gear, obviously just in from a run. No Mamil likes to be outdone in this manner. I recall a particular Mauritius holiday, before my mate had begun his pursuit of Ironman. Unusually for a Mamil, he could barely swim. (I say this with love). Despite this, the idea of reading a book poolside for a week was so anxiety-inducing, that he took up windsurfing. He worked at it, morning and evening, capsizing more times than he stood up, but at least he was active. A summer holiday in the Alps meant hiking with children in backpacks, a boat trip on the Amazon meant traipsing through mosquito-infested swamps in a desperate attempt to raise his heart-rate. In short, a day without exercise was a day wasted. 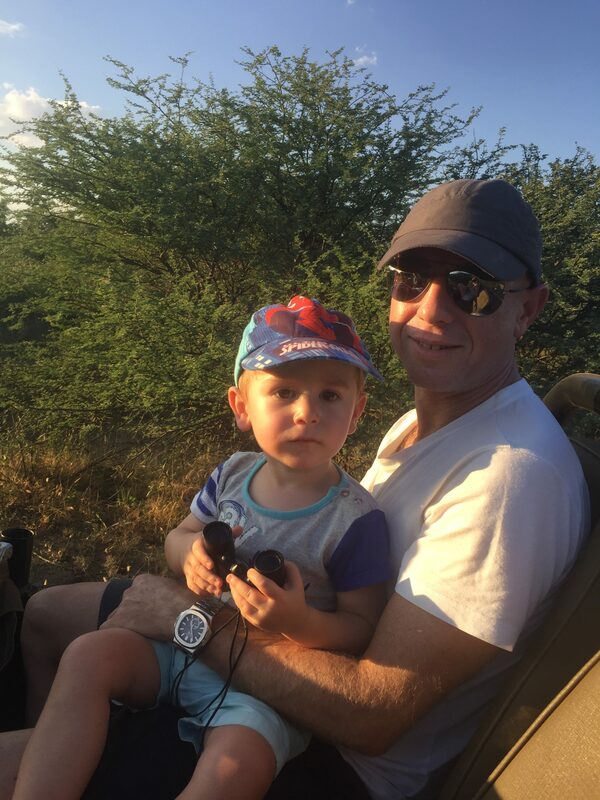 Until I took my Mamil to Madikwe last month….Surrounded by wild mammals, he was trapped. We woke up in the morning, we readied ourselves for breakfast in a leisurely fashion, we ate, we strolled to the pool, we played board games and kicked balls around, we went to lunch, we napped and we read, we went on an afternoon game drive, we bathed the kids, we ate supper, we went to bed and repeated all this for THREE WHOLE DAYS! Okay, there was an instance when we tried to march around the camp while the kids rode their bikes. David even had my Garmin Forerunner and was measuring our distance intensely but after about 10 laps, we’d covered a grand total of about 1km, the bikes had punctured from the thorns and we called it a day. There was also an attempt to turn the 1980’s rockery around the pool into a rock-climbing wall. This involved David teaching Chiara elaborate rock climbing moves. She then decided she wanted to do it all by herself, but she lost her footing and fell – SPLAT – into the pool. David responded by jumping in fully clothed. Thankfully, we now know that her instinct to swim when landing in deep water is fully honed, so there was actually no need for any David Hasselhoff moves. But at least David got his heart rate up once over the holiday…Moral of the story: mamils must be surrounded by other mammals and then they will ignore nature’s constant calling and actually relax! 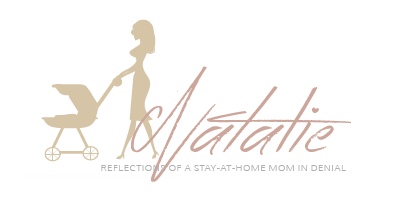 Natalie is a stay-at-home mom in her late thirties, living in Sandton, Johannesburg. 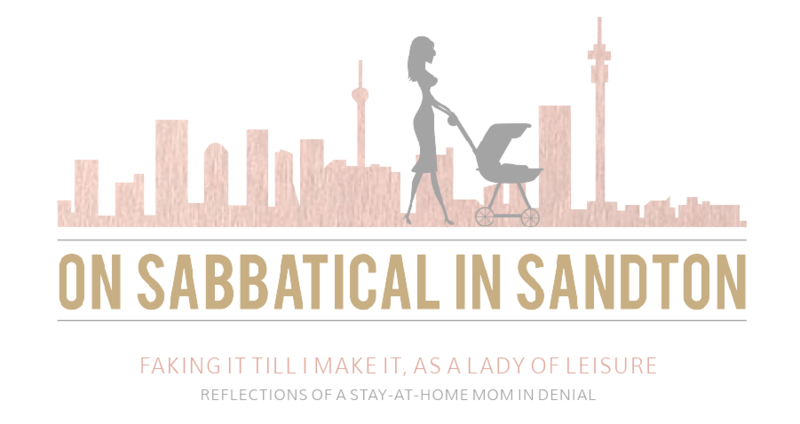 She left her consulting career in 2009 and is still “on sabbatical”. Sort of. When not on the road to swimming, gymnastics, birthday parties or ballet, she is a student of Economics. She has lots of unwritten posts about politics in her head and when she grows up, she would like to write these down. In the meantime, her husband and closest friends all have a healthy sense of irony – they keep her sane. Most of the time.